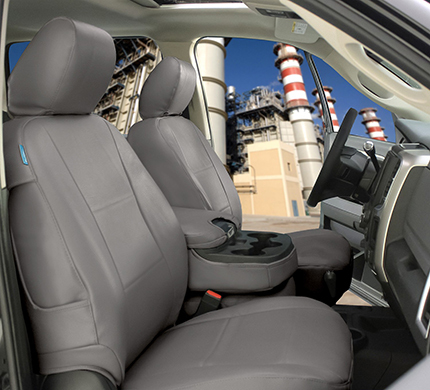 Rhinohide Custom Seat Covers: Notably Rugged and Durable. Its namesake says it all; Rhinohide. Made from PVC, this custom seat cover is the toughest Coverking has ever made. 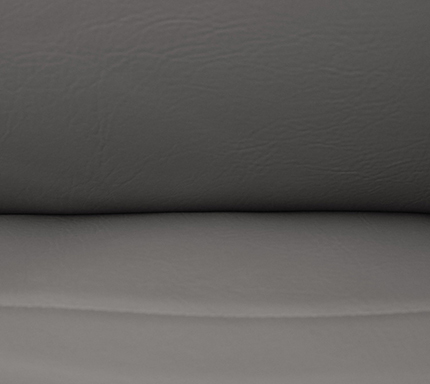 With its leather appearance and texture, the Rhinohide custom seat cover looks amazingly sleek and smooth. Its sheen finish is complimented by the fine craftsmanship and superior stitching of each seam. 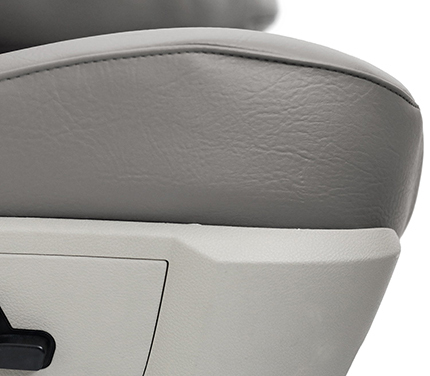 Each piece is digitally cut to make sure that the finish product fits the exact specification of your car seats. 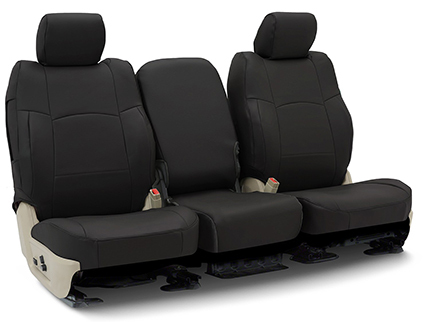 The cover also is highly water resistant, which means the seat covers can be wiped down without the worry of damaging the material. 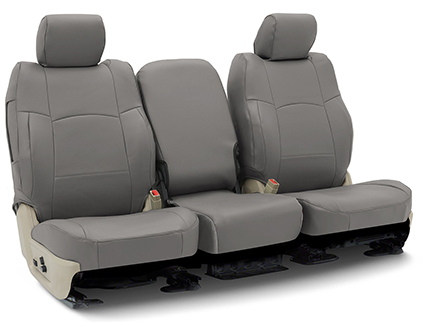 All seat covers come with applicable consoles (split bench rows only), airbag cutouts and pockets. 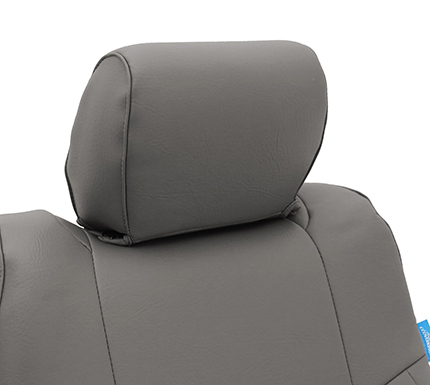 Also included is a thick layer of form backing for added comfort and protection. 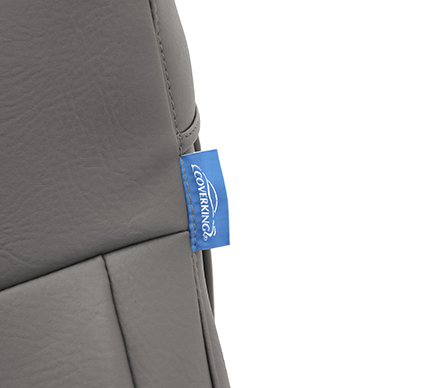 The Rhinohide seat covers are made for those looking for the ultimate protection for their vehicle with the elegant look of leather.